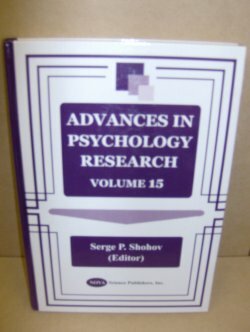 Publisher: Nova Science Publishers Inc.
A collection of papers written by academics from Europe, Asia, and North America discuss research in the areas of cognitive, behavioral, and biological psychology. Specific topics include abduction in postmodern research; psychology as the study of mind and behaviour; the development of alcohol habits in a Swedish male birth cohort etc. 229pp.